Delegates willing to submit a contributed presentation are invited to visit the Submissions & Calls section within the 'For Participants' menu tab at www.iciam2019.com. 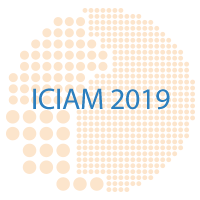 ICIAM 2019 congress, please subscribe here to our Newsletter. This e-mail message is addressed exclusively to the recipient, and may be confidential, proprietary copyrighted and/or legally privileged. If you are not the intended recipient, and have received this message in error, please notify us immediately by reply e-mail and then delete it from your system. It is not allowed to make partial or total copies of its content, nor its disclosure to a person different from its addressee. We inform you that your data is included in a file of ICIAM 2019 Congress. 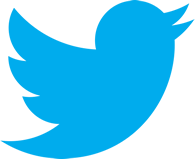 The email address of the recipients of this communication has been provided by the interested parties. You receive this email as long as you have registered at ICIAM 2019 Congress and its exclusive purpose is to inform you about news related to the Congress. In any case, in accordance with RGPD (EU) 2016/679, you can exercise the rights of access, rectification, cancellation and opposition by email iciam2019@pacifico-meetings.com or by post to Grupo Pacifico, Mar?a Cub? 4, 08006 Barcelona.